"Searching for a missing student, two private investigators break into his house and find collection of VHS tapes. Viewing the horrific contents of each cassette, they realize there may be dark motives behind the student's disappearance." I wasn't going to watch this after how much I hated the first "V/H/S", but faced with the choice between "V/H/S/2" or "The Purge" (aka "The Strangers 2022"), I decided against the PG-13 claptrap. Yes, I know that choosing between "V/H/S/2" or "The Purge" is like choosing whether to eat warm vomit or cold vomit, and normally I'd pass on both, but there's nothing else new to watch. One thing is for certain though, it doesn't matter how many good reviews "The Purge" gets about its alleged "social commentary", I'm done with Bumhole Productions. I won't be watching "InSHITious 2" either. As far as sequels go, "V/H/S/2" is technically better than the original. 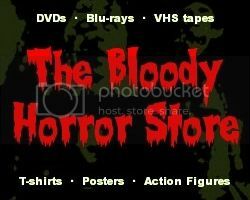 Even though it's only more faux "found footage" with shakycams aplenty, extra cameras where there shouldn't be cameras, and no explanation or logic behind why any of these movies would be on obsolete VHS tapes in the first place, the excessive gore makes up for it. Unfortunately, the stories are just as weak as before with lots of bad acting and "WTF" moments which give away its amateurish composition. 13-year-olds or any of the ADHD, games console generation will undoubtedly love it. Giving credit where it's due, the pacing is a hell of a lot better this time though. I was pleasantly surprised that "V/H/S/2" didn't make me want to toss my cookies within the first five minutes. There's never a good reason why anyone should need to take Dramamine before watching a movie in the comfort of his own home. It's always nice to be able to finish a movie that you've paid to see online (or anywhere else for that matter). Numerically, I rate "V/H/S/2 as a 3 out of 10, but as it's a new movie which most of you haven't seen yet, I'm not going to go into depth about the reasons why. Instead, I'll post my Twitter feed (edited into the correct chronological order) so you can read my reactions as they happened. Some people got a kick out of when I did this for the "Evil Dead" remake although I actually put more effort into those. A SPOILERIFIC TWITTER COMMENTARY WILL FOLLOW. Do not read any further if you want to watch "V/H/S/2" on your own. No idea what her name is, but she's very pretty. I didn't put any timings before each Tweet this time because I couldn't be bothered. You can easily match them up to each segment though. I'm not sure what the names of each segment in this anthology are, and I don't really care that much to look them up either. The third segment with the cult is easily the best, but the second with the zombies is kind of okay too. In both cases, there are too many extra cameras floating about which makes a mockery of the "found footage" gimmick. The wraparound story is just a waste of time. My biggest criticism of "V/H/S/2" is that there are too many zombies in it. Two segments and the wraparound story are full of zombies, and like most people, I've already seen enough zombie movies to last me a lifetime.